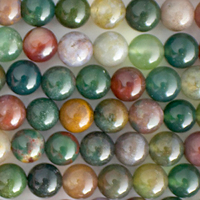 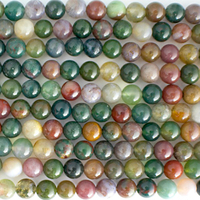 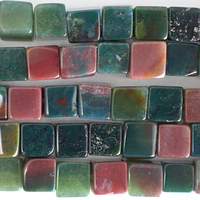 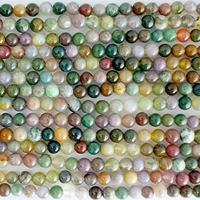 Fancy jasper stone beads are multicolored, including shades of green, brown, purple, red, yellow and white. 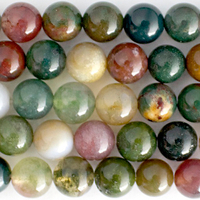 Fancy Jasper is a stone of gentleness and relaxation and is professed to enhance one's ability to relax and bring tranquility, comfort, wholeness, healing, and gentle endings. 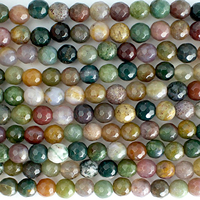 As with all jaspers, it is also a good protection stone. 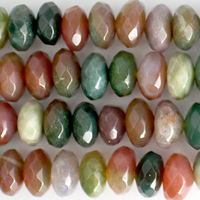 Fancy Jasper is reputed to be particularly good at bringing energies of wholeness and healing to an environment or situation.